Seoul Sep 14 (IANS) South and North Korea launched their joint liaison office on Friday securing a platform for round-the-clock communication that is expected to help foster cross-border exchange and ease tensions. 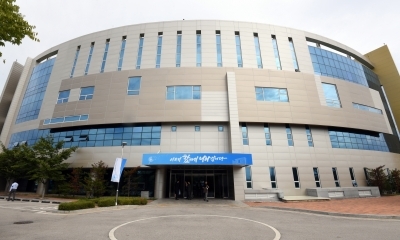 The office was launched in the North s border town of Kaesong with around 50 people each from the two Koreas attending the opening ceremony reports Yonhap News Agency. "The inter-Korean joint liaison office is a channel for round-the-clock communication in the new era of peace " South Korea s Unification Minister Cho Myoung-gyon said. "From today South and North Korea can have direct consultations 24 hours a day and 365 days a year over issues relating to advances in inter-Korean relations peace and prosperity on the Korean Peninsula " he added. South Korea will station around 20 officials there while the North will deploy 15-20 officials to the office. The launch comes days before the leaders of the two Koreas are to meet in Pyongyang for their third summit this year. Launched in 2004 the Kaesong industrial park was hailed as a key symbol of economic cooperation between the Koreas as it combined South Korean capital and technology with cheap labor from the North. South Korea however shut it down in 2016 in response to the North s nuclear and missile tests. It was the first time that people who used to run companies in the industrial complex had visited Kaesong since its closure.